Since its inception, ProSPER.Net members have launched a wide variety of joint projects ranging from the creation of an online postgraduate programme in public policy and sustainable development practice to the integration of sustainable development in business school curricula. The UN Agenda 2030 envisages the Sustainable Development Goals (SDGs) to be met by 2030. Through its members, ProSPER.Net aims to assist in the implementation of the SDGs through education, research and outreach. In this context, the issues that are not clearly known are – (a) what are the effective policies that will help meeting the goals?, (b) what are the interlinkages between the goals (and the indicators)?, (c) how can researchers comprehensively assess the community needs?, and (d) how can actors on the ground efficiently implement actions through education, research and outreach, to aid in sustainable development. 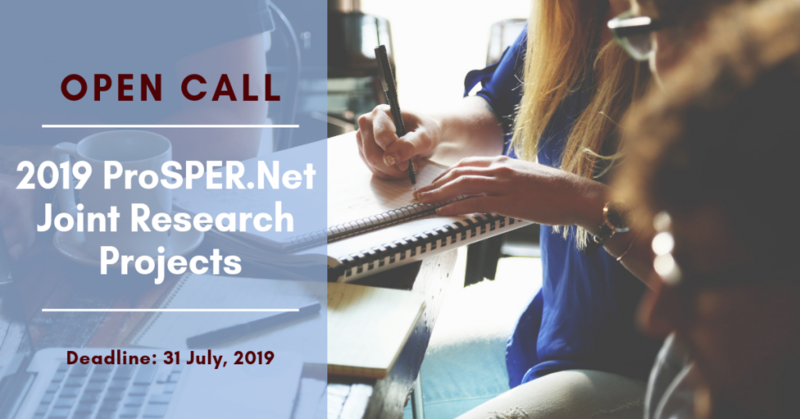 For this year’s ProSPER.Net joint project call for proposals, the focus is for participating institutions to assist in the implementation of the SDGs through research, with an outcome that leads to education and outreach through curriculum development and various learning initiatives. ProSPER.Net members are invited to submit joint project proposals for 2019. Proposals need to be prepared with at least three ProSPER.Net members participating, following the updated ProSPER.Net Joint Project Proposal Guidelines and Project Proposal Application and to be submitted to the ProSPER.Net Secretariat (ProSPERNet@unu.edu) by Wednesday 31 July, 2019 (11:59pm JST). Submitted proposals will be reviewed by the Board prior to the General Assembly in October. The ProSPER.Net representative from member institutions making a proposal will be required to make a five minute presentation at the General Assembly. Approved projects should be implemented within six months following approval and should be completed during the course of one year. To find more about ProSPER.Net joint projects, please visit the page of each project.